As a community whose mission is to improve health care, we never forget that medicine is about serving those in need. Our curriculums for both MD and academic health students include a focus on treating underserved patients including the elderly, disabled, economically disadvantaged, and immigrants and refugees. Emory MD students get hands-on experience with licensed professionals while also serving citizens of Atlanta. "The ongoing commitment of many medical students and faculty to community engagement led to the creation and success of this curriculum," says course director Mary Jo Lechowicz, professor of hematology and medical oncology, who adds that they are moving away from terms like "volunteerism" and "service," which suggest a one-way street. "The clinic experience, like many others for students, is bi-directional." Here are just a few of the projects our students, faculty, and staff take part in to benefit our community. Fed up with treating advanced conditions that could have been caught earlier, Dr. Charles Moore decided to bring preventive care straight to the people who need it most. 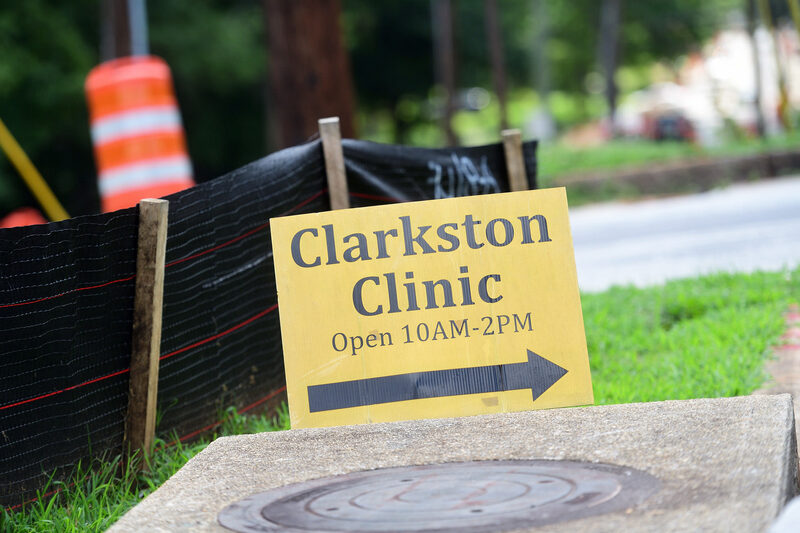 He packed his car with supplies and drove to bus stops, homeless shelters, and church groups in the neediest West Atlanta neighborhoods to bridge a critical gap in medical care. She could have gone anywhere for physical therapy school. But when she learned that Emory’s Doctor of Physical Therapy program offered students the opportunity to do international service learning projects, her choice was easy. About an hour's drive south of Moultrie, GA, the program led by the Physician Assistant Program in the School of Medicine provides free health care to migrant workers at outdoor clinics on farms in and around Valdosta and Bainbridge. 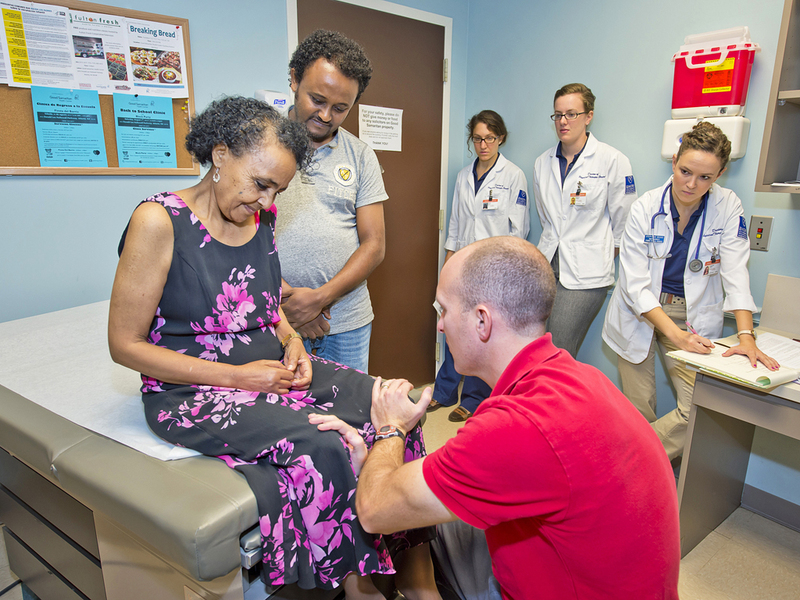 Federal officials often call on Emory faculty physicians and researchers to volunteer during public health crises and in the aftermath of natural disasters. In 2017, faculty members recently provided emergency medical evaluations and assistance to patients evacuated from Caribbean nations after a hurricane devastated the islands. "Some areas hadn't seen any help before we got there 22 days after the storm," said Carla Haack, assistant professor of surgery, who traveled to Puerto Rico to provide emergency care after Hurricane Maria. "We provided medical attention to about 350 patients, and brought food, water purification systems, medications, mosquito repellent and netting, and solar lamps." "This has made such a difference in the level of care we're able to provide patients as well as the education we're able to offer the students," said optometrist Fulya Anderson after receiving new equipment that allowed the Clarkston Center to preform better eye exams for the community.